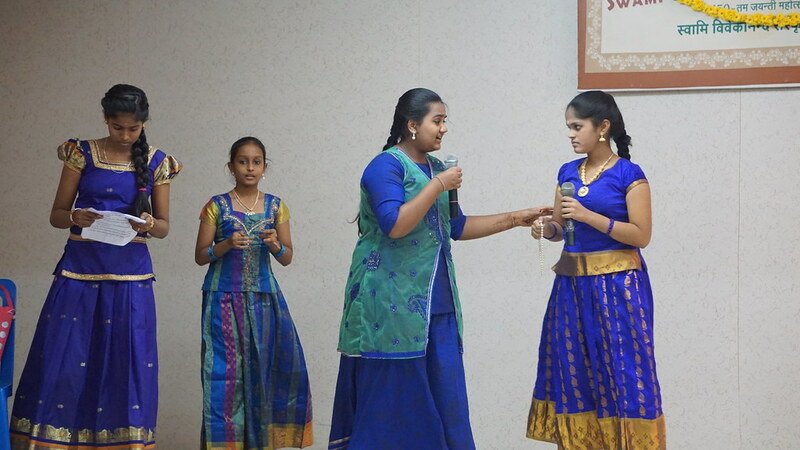 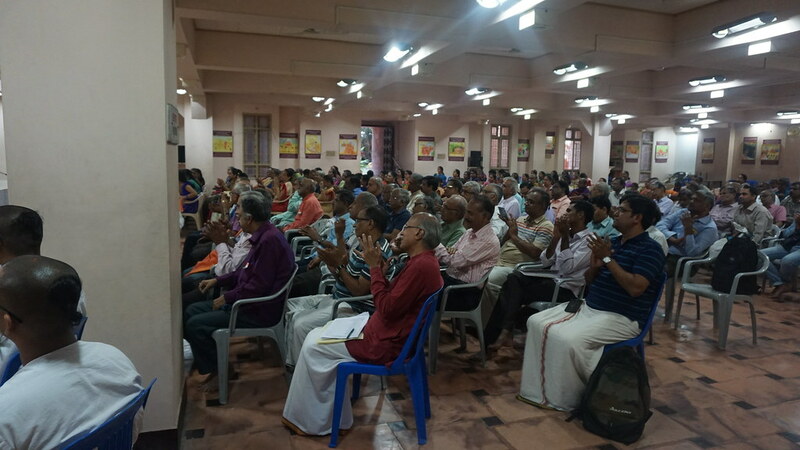 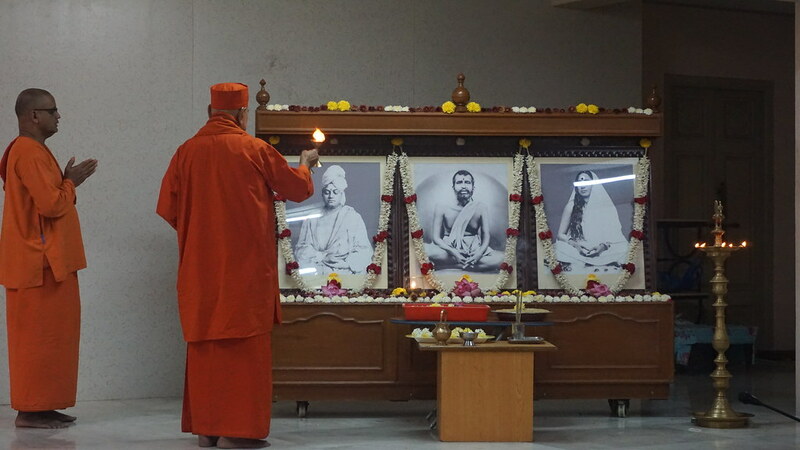 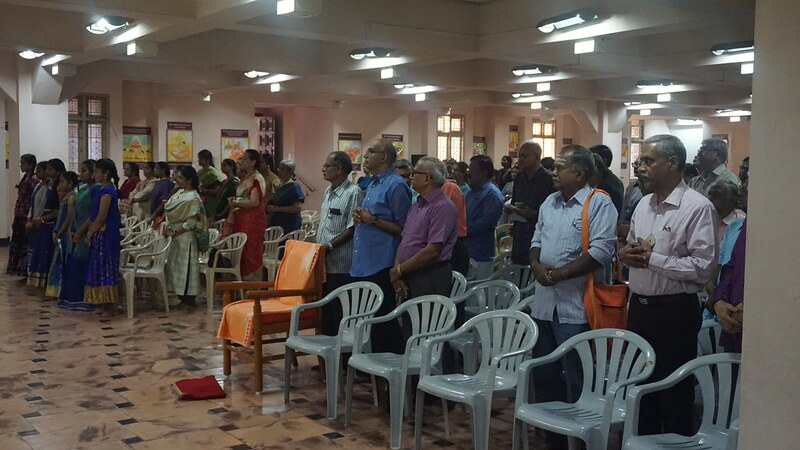 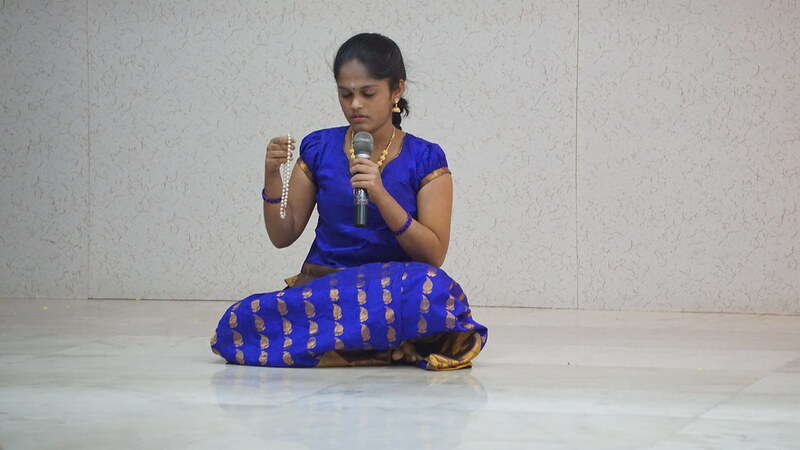 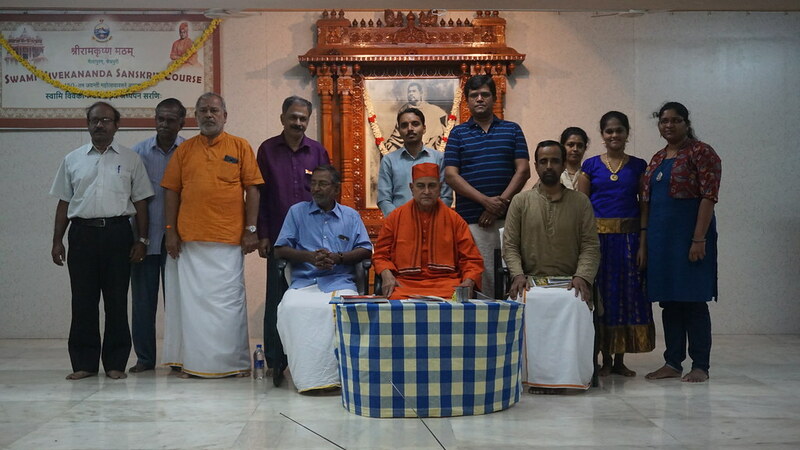 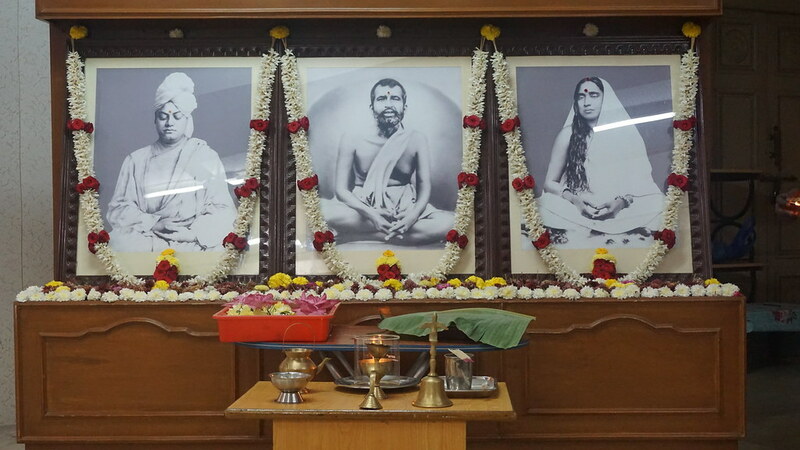 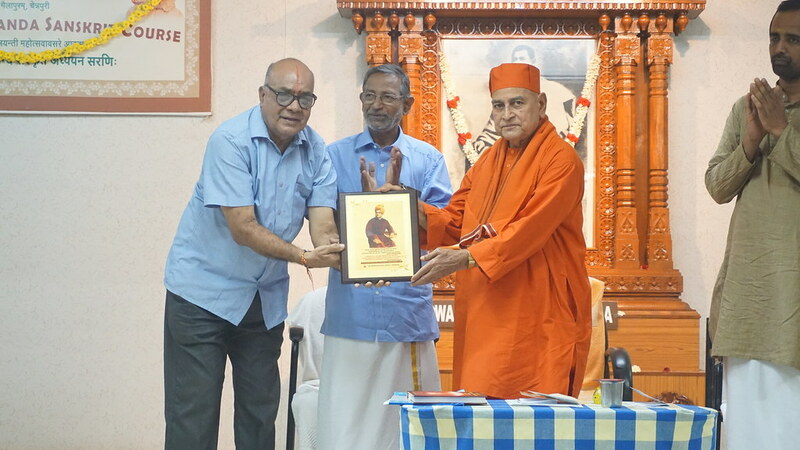 The Vivekananda Samskrita Adyayana Sarani was started on 24-11-2014 in collaboration with Samskrita Bharati as part of 150thBirth Anniversary Celebrations of Swami Vivekananda. 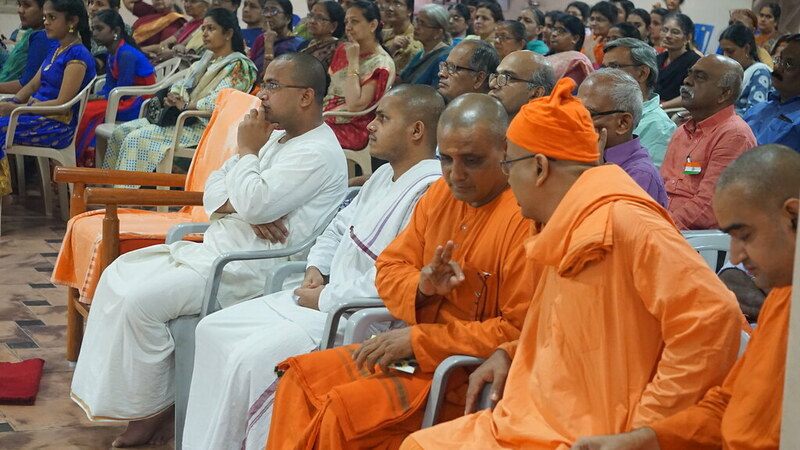 So far, Ten batches with 1991 students were benefited by these courses. 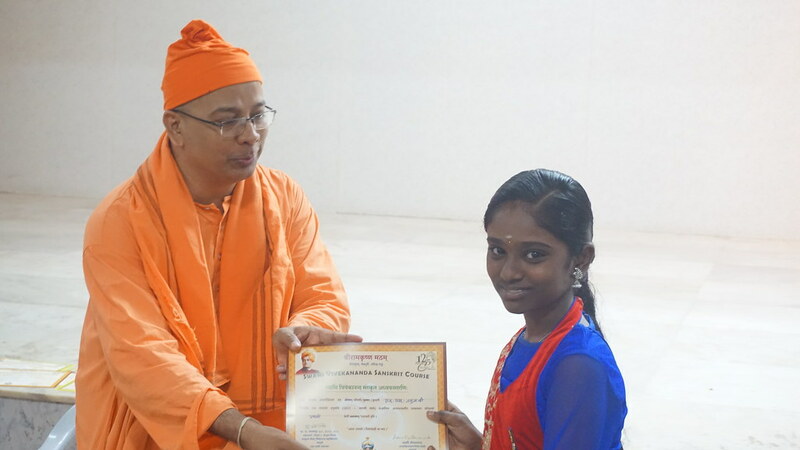 Convocation for the 10th Batch and inauguration of a new 11th batch held on 26th January 2019. 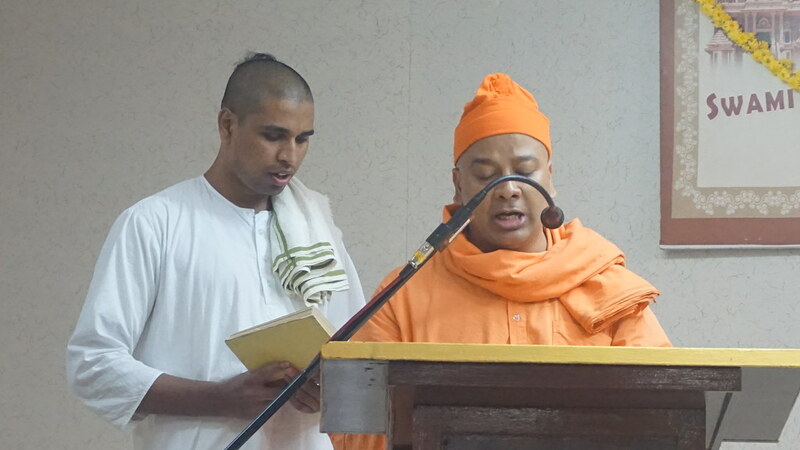 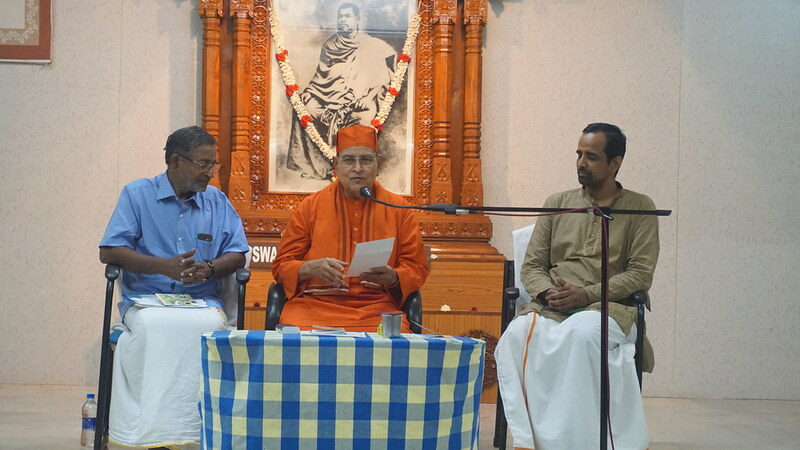 Revered Srimath Swami Gautamanandaji Maharaj addressed the gathering. 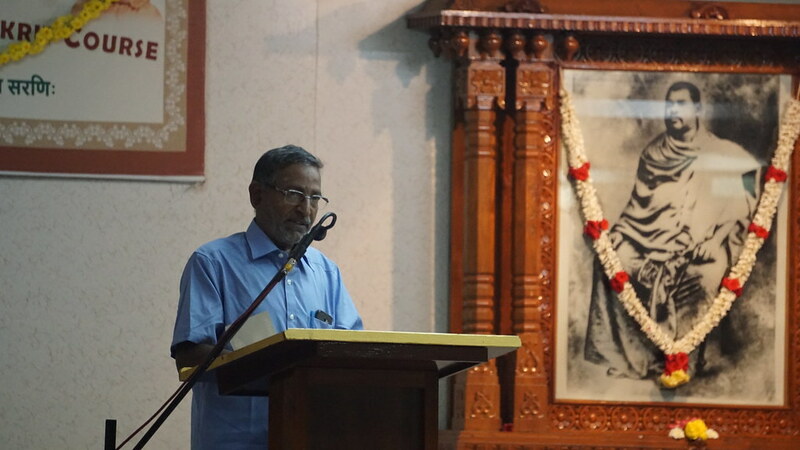 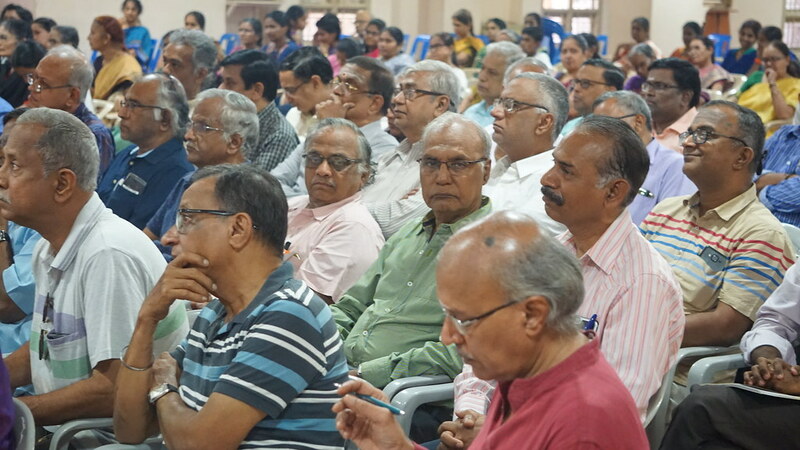 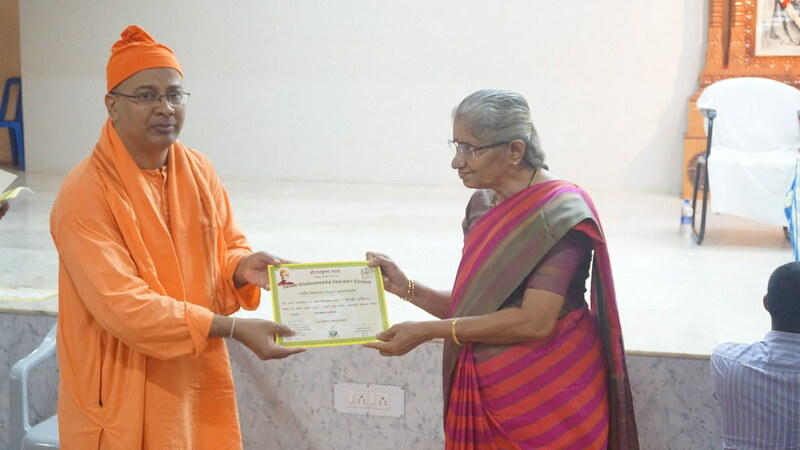 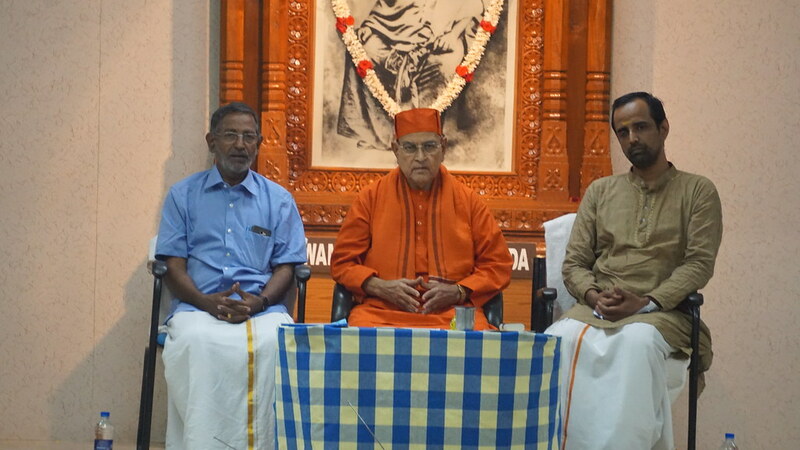 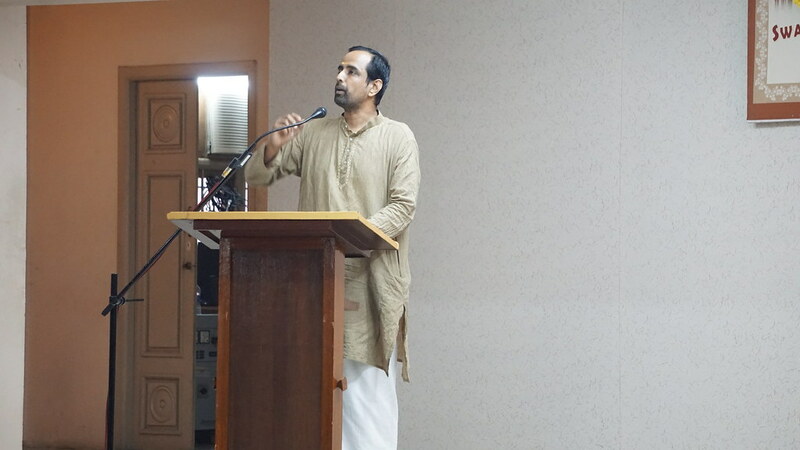 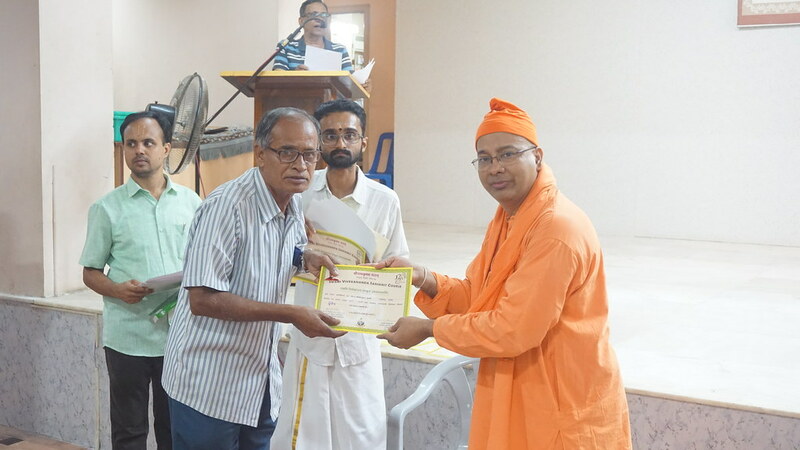 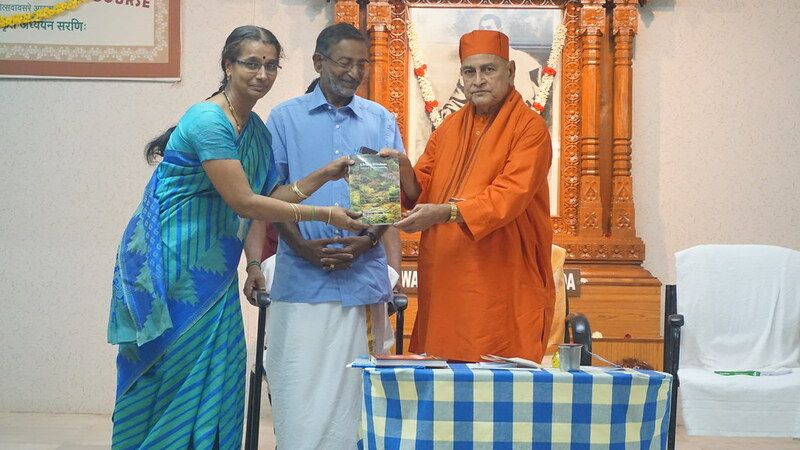 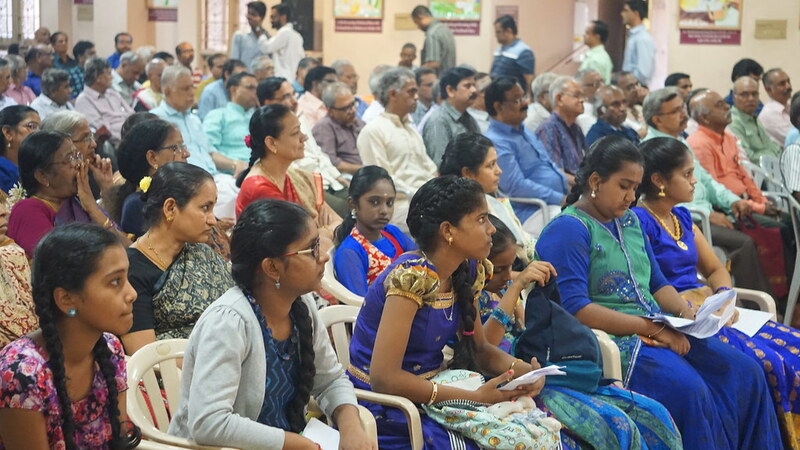 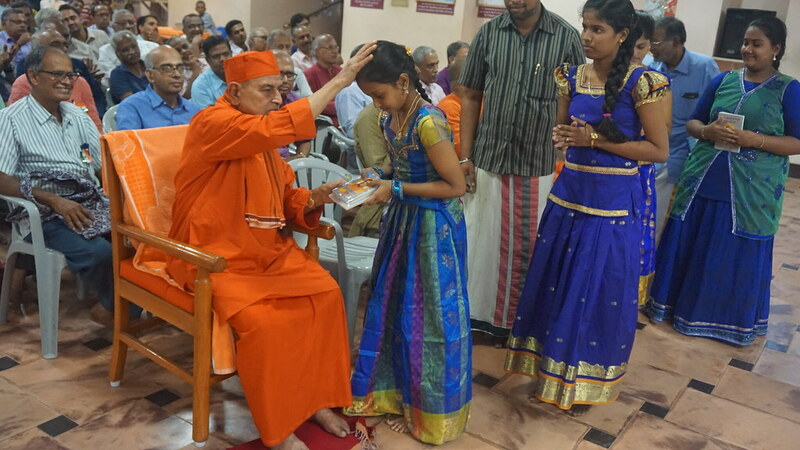 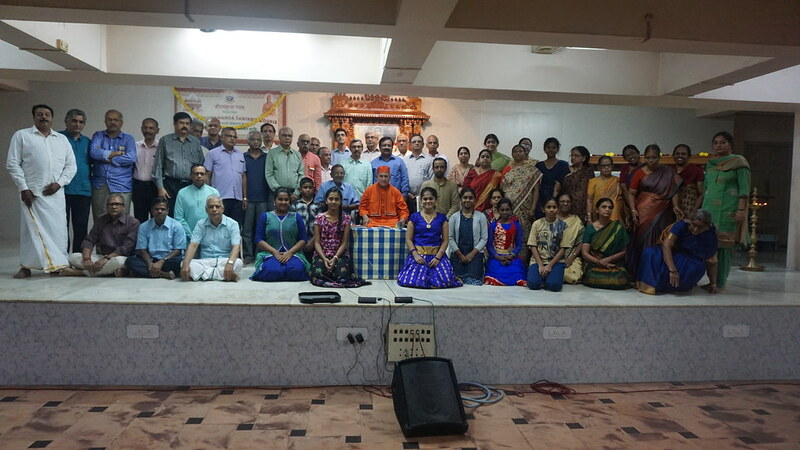 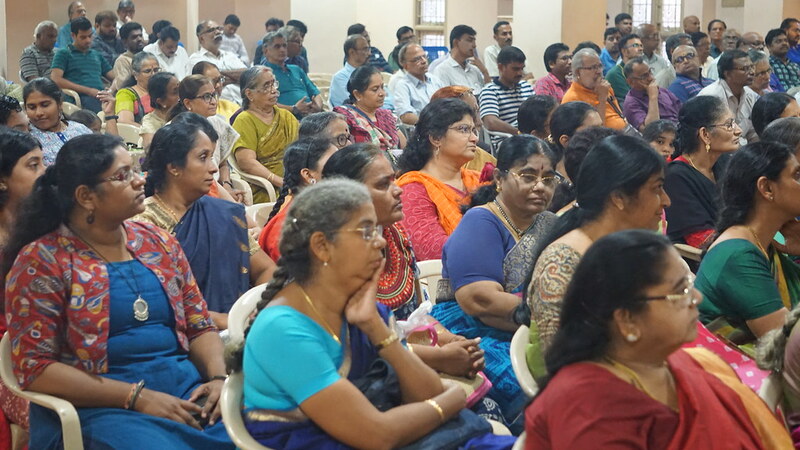 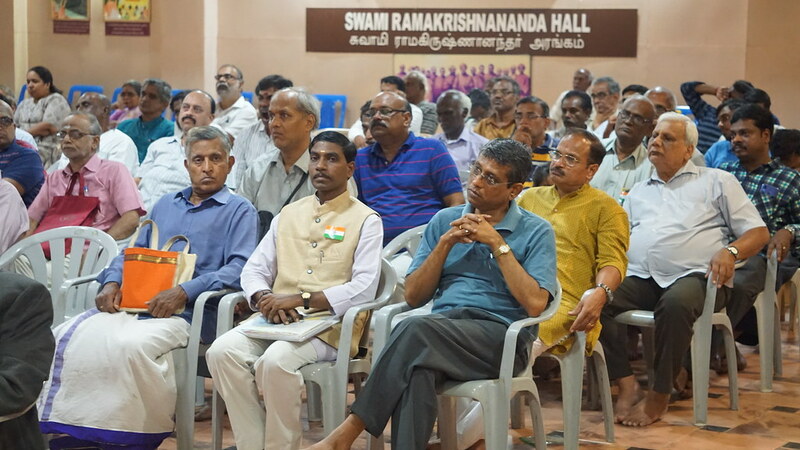 Revered Maharaj spoke about the importance of Sanskrit learning and how Ramakrishna Mission is doing a great revolution by teaching Vedas to one and all without any distinction. 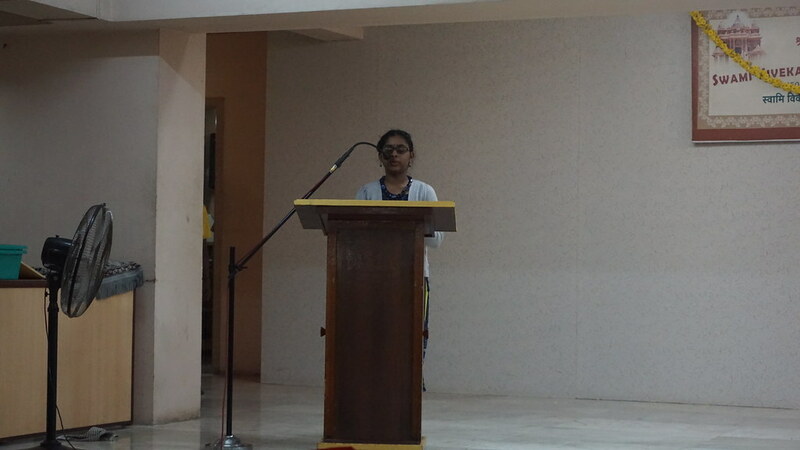 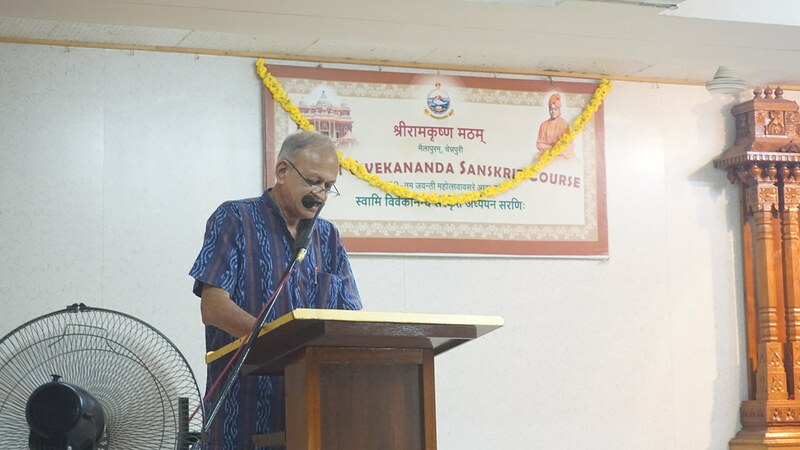 Prof. Dr. R. Ramachandran, Department of Sanskrit, Vivekananda College & Coordinator for Sanskrit Course spoke about the necessity of learning Sanskrit. 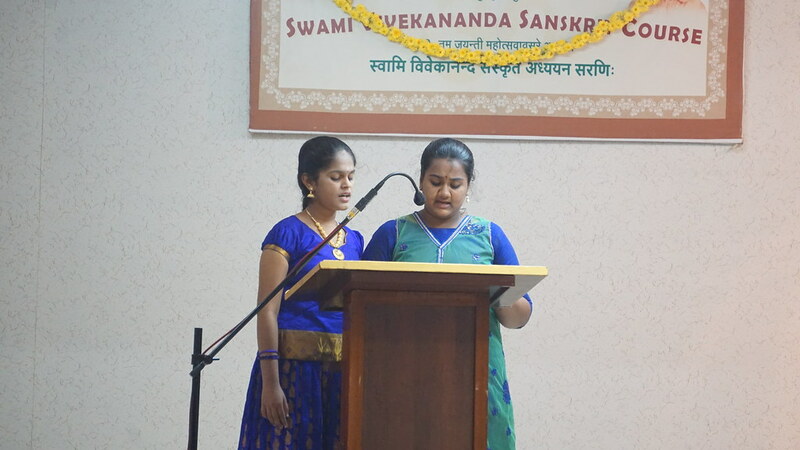 Students who have completed the course shared their experiences with delight. 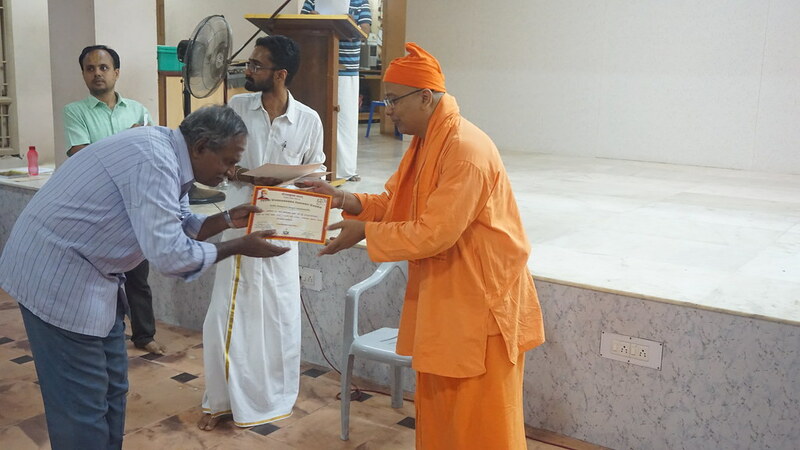 Certificates were distributed for those who have completed the course Level I, II & III successfully.